Became the Ford Ka for certain markets. 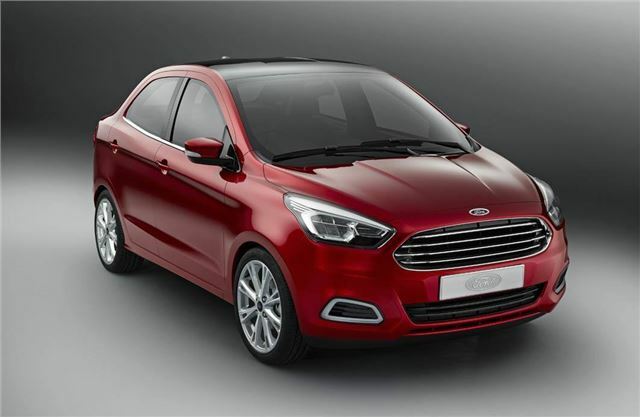 Next Ford 'A' class 4-door saloon car to replace current FIAT 500 based Ka. To be built in India. Ford tight lipped about plans in autumn 2012, but the car is likely to happen in 2015/2016, whether solely for the Indian market or for Europe as well. Could use non turbo Ford 1.0 3-cylinder, or a two cylinder development of it, or FIAT's two cylinder engine. This was also developed into the 5-door Ka due in 2016. More about that here: Ford Ka 2016.